Bethany Lanier, a doctoral student in the College of Education, has been named Graduate Student of the Year by the American Mental Health Counseling Association. 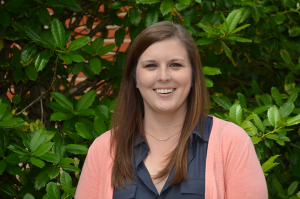 She was nominated for the award by faculty members in the Counselor Education (CED) program in Auburn’s Department of Special Education, Counseling, and Rehabilitation. Last year, Lanier was awarded a Leadership Fellow position with the International Counseling Academic and Professional Honor Society, Chi Sigma Iota. Lanier earned her Master’s degree in Clinical Mental Health Counseling from Radford University before beginning her doctoral program at Auburn. Her clinical background is in substance abuse counseling, career counseling, and behavioral issues. She is a National Certified Counselor. Her research interests include substance abuse counseling with Dialectical Behavior Therapy, professional advocacy, and poverty outreach.